Due to the great advances made in technology, there are now more options than ever before when it comes to the promotion of products and services. However, at the same, it is also becoming increasingly difficult for firms to stand out, innovate and position themselves as market leaders, particularly under the constraints of tight marketing budgets. 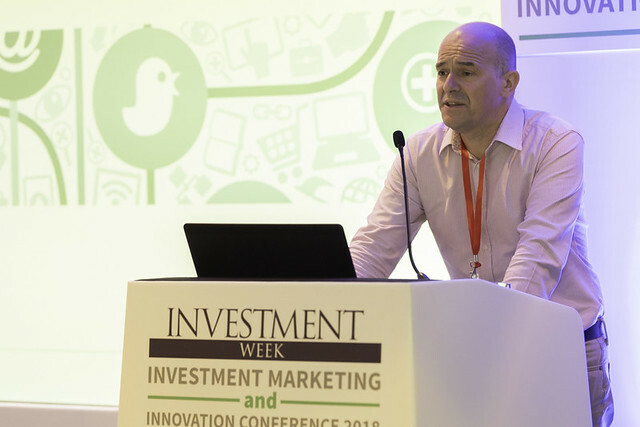 Investment Week's fourth Investment Marketing and Innovation Conference will host a variety of sessions discussing both the opportunities and challenges faced by investment marketers. This half day conference has grown from strength to strength and the conference will continue to bring together the leaders and innovators in investment marketing to connect, learn and network. Delegate passes are available only to those working in marketing within asset management firms, investment banks or other financial institutions. Service providers can attend through sponsorship or by purchasing a Supplier Networking Pass. For more information please contact Elena Tsangarides via elena.tsangarides@incisivemedia.com or on +44(0)207 484 9972. Plenary: What is your data really telling you? Compliance is one of the biggest bugbears for marketers working in asset and wealth management. Self-compliance - the use of pre-approved language - is increasingly attracting interest as a means of dealing with the issue, without sacrificing valuable time and resources. This session will consider the different approaches firms can take, and highlights pitfalls and issues to keep in mind. In an industry where everything is benchmarked against revenue marketers can struggle to demonstrate their value. It's easy to become obsessed with what you can measure, rather than what you can't count. So how should marketers measure their effectiveness? How can they communicate this to senior stakeholders? And how do you engage the top management with your marketing strategy? Getting your strategy correct in a digital world is challenging and complex. How do you juggle the long-term development needs of your brand with the short-term, immediate business goals? How do strategies change for businesses of different maturity, size, complexity and markets? And - with so many channels to choose from, where should you place your content? Our expert panel will grapple with all these issues and more.